I have been addicted to the food delivery apps Foodpanda and Faasos for a while now. Technology has evolved so much that just a few clicks from your smartphone and food comes walking to you! ^_^ For grocery shopping, I love Grofers, they have amazing offers and their customer service is pretty good. I am not a fan of OLA cabs as my experience with them has not been satisfactory. 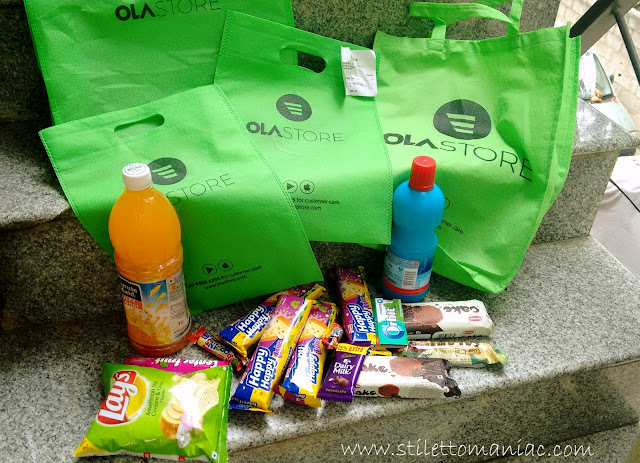 So when OLA launched their exclusive grocery store called 'the OLA store', I was quite skeptical about shopping from them. I kept hearing a lot of positive reviews about it but never tried it. Few days back there was an amazing offer on OLA store where they were giving special discounts for new customers so I decided I should finally go for it and treat myself to some cakes and other junk food. I shopped and made the payment through OLA money(that's where the offer was). They have many payment options and the one which I found apt for me were online payment via bank transfer, Cash on delivery and OLA money. 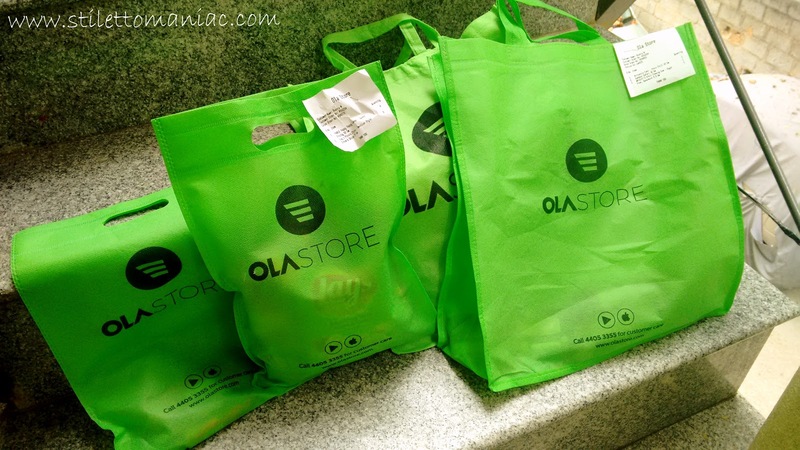 You will have to install the OLA store app on your smartphone, signup and then shop away! To check out their ongoing offers go here. Everything about it is pretty cool but I think what I liked the most was the fact that you can schedule delivery. I ordered and scheduled the delivery for the next day with a suitable timing. I had the delivery man knocking at my door at perfectly the time I had scheduled the delivery on . I have never seen such punctuality elsewhere! Their service is available only in Bangalore as of now. They'll be expanding to other cities very soon! All in all, it was a totally amazing experience I would totally want to shop from them again and again and agiannn!!! Review for Grofers coming up soon too! P.S: Don't forget to browse the new page in my blog: Humour. P.P.S:This was not a sponsored review. Wow.. seems like quite a fun. I wasn't even aware they have a grocery store! And good that you liked their service. Certainly now I shall try it too. :D Thanks for sharing dearie! Heard that OLA is shutting down OLA store. Sad for such a premature ending for a service that was gaining traction.